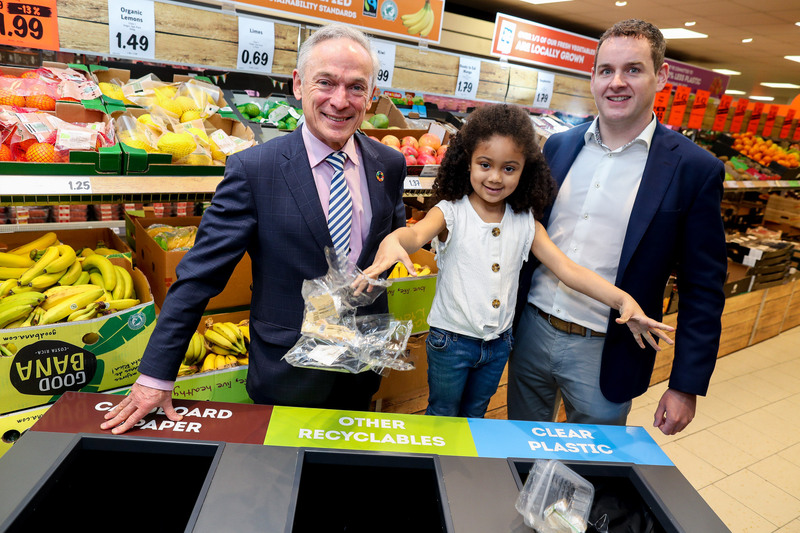 Wednesday 10 April 2019: Lidl Ireland has, today, announced plans to become the first Irish retailer to offer customers in-store recycling stations nationwide to reduce packaging waste bought in-store. Lidl has committed to introducing segregated recycling stations at the end of customer checkouts in all 160 stores across Ireland. They will be rolled out from the start of May and will be available across all stores by May 31st 2019. The launch of this nationwide initiative follows a trial of these recycling stations in three Lidl stores – Gorey, Greystones and Ballycullen – which proved to be a huge success with Lidl customers. Lidl anticipates that the countrywide rollout of these recycling stations will result in tonnes of plastic, cardboard and other recyclable materials being recycled across their store network. “We know from Repak research that Ireland is one of the leading recycling countries in the EU for packaging recycling, however Ireland’s target is to increase to 65% by 2025.We want to play our part in supporting the country to achieve this target through our recycling stations nationwide.